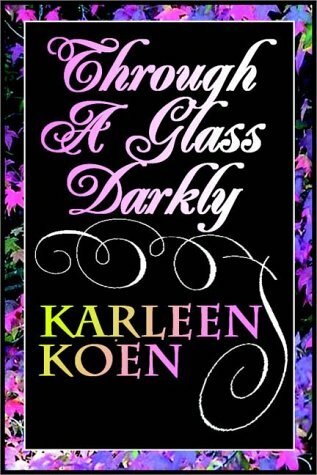 Set in the upper-class families of 18th century England and France, THROUGH A GLASS DARKLY tells the story of Barbara Alderley, a beautiful and passionate heroine; the grandmother she adores; the mother she despises...and the man she loves. At 15, Barbara finds herself betrothed to a man 27 years her senior. Marriage propels her into a glittering, cynical society: the casual adulteries and violent politics of the age of Richelieu, Pope and Swift; of buildings by Christopher Wren; of greed, elegance, excess and cruelty. Barbara navigates these dangers with great skill; her beauty takes on polish and sophistication.